Hold the phone, because I have some exciting news! I was honored to be contacted by Machine Quilting Unlimited to be a part of their March/April 2016 issue! My Dresden Rainbow wedding quilt is featured in an article about Dresden plate quilts. This is the first time I've been published, and it's not the last (spoilers - coming soon)! This is my favorite quilt of all time (for many reasons) - you can see my epic blog post about it, along with quilting close ups, right here. Outtake: We ventured outside in December to snap some quick, new pictures (that is, Mike took the photos)! It. Was. Cold. 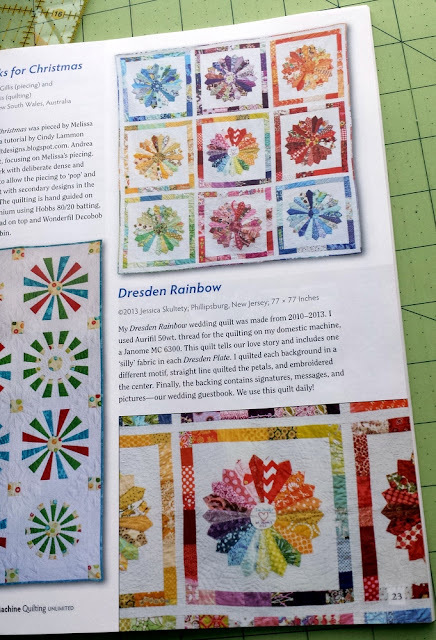 The magazine features several Dresden plate quilts, both modern and traditional. Hope you enjoy! 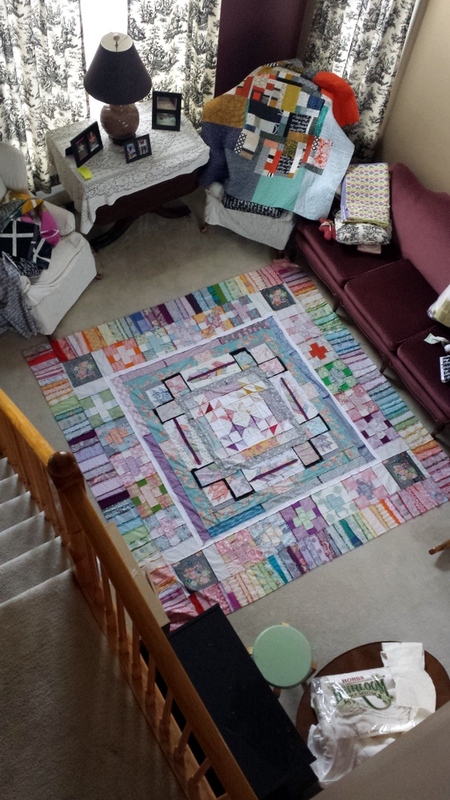 While I was basting quilts en masse last week, I couldn't help but take pictures from the second story. Just a peek at the life of a serial quilter - quilts and batting literally dominate the living room. 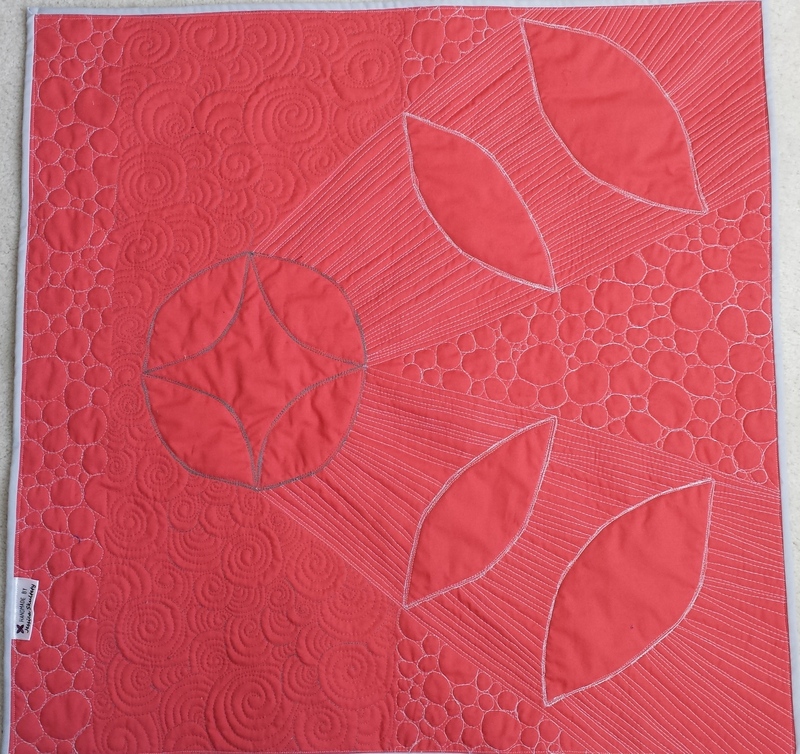 Doe Improv quilt - just needs binding now! 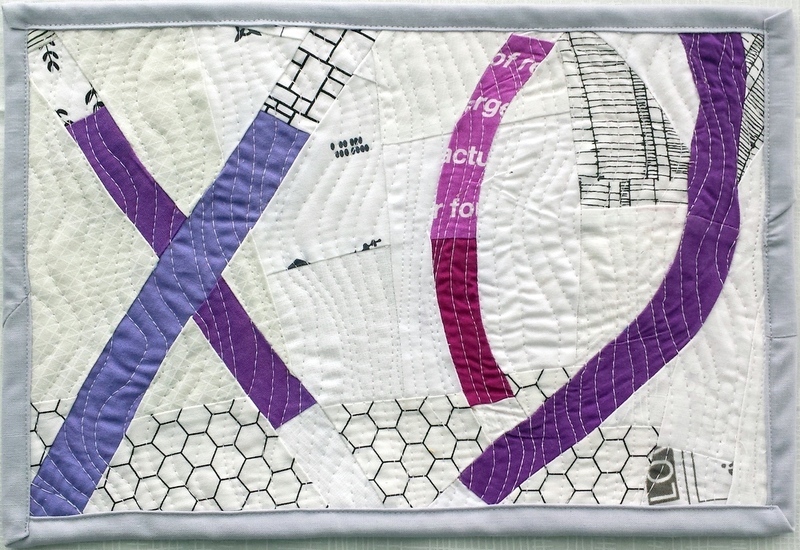 And the back of my epic medallion quilt... I really lucked out with floor space somehow (that's a queen size+ quilt). Last month, OttLite interviewed me by phone for their "What Inspires" series. 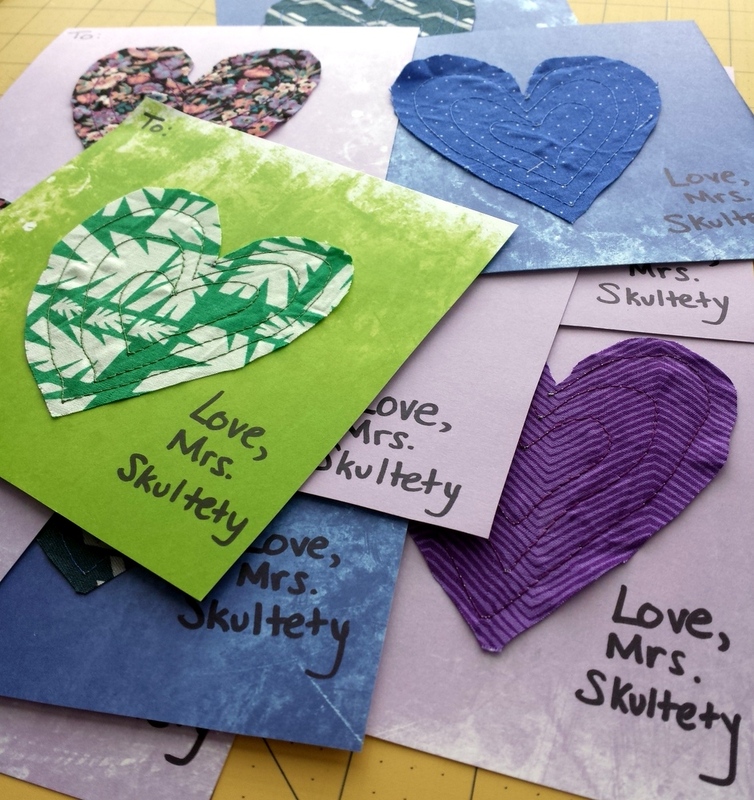 We discussed why I choose improvisation over patterns, my favorite parts about teaching quilting, why quilts matter, and what I love about my OttLite, among other things. Check it out below and enjoy! 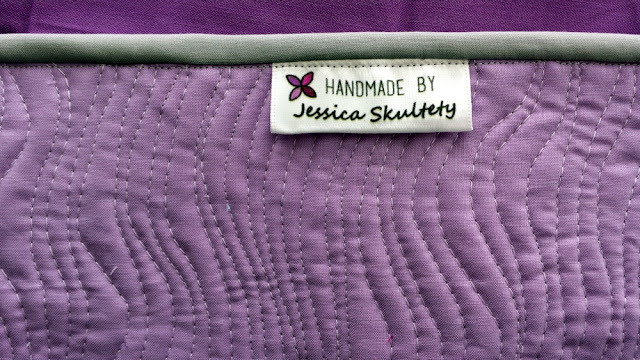 "What Inspires Jessica Skultety - The Improv Quilter"
This quilt has been floating around in my sketchbook for a while (as many other orange peel designs are). 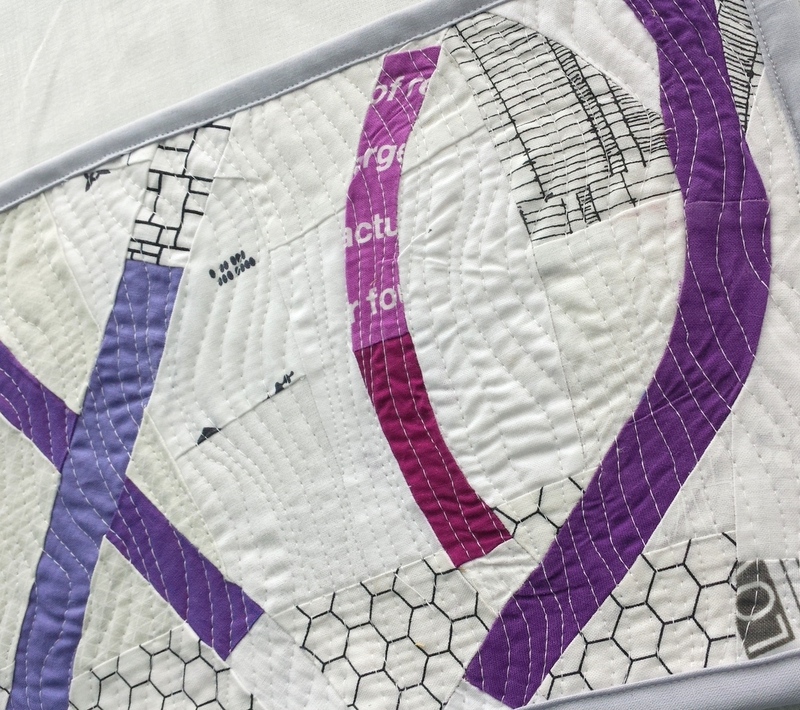 When Northcott Fabrics asked me to make a quilt for their QuiltCon booth using just 5 squares of purple solids, I knew this was the one! I made orange peels in three sizes, using the technique I teach in my Orange Peels and Improv workshop. The purple orange peels are laid out in one of the traditional ways, so that I could modernize the quilt with the repeating blocks (side note - now I really want to make a traditional orange peel quilt). I also set the traditional block to the right side in an attempt at alternate gridwork. 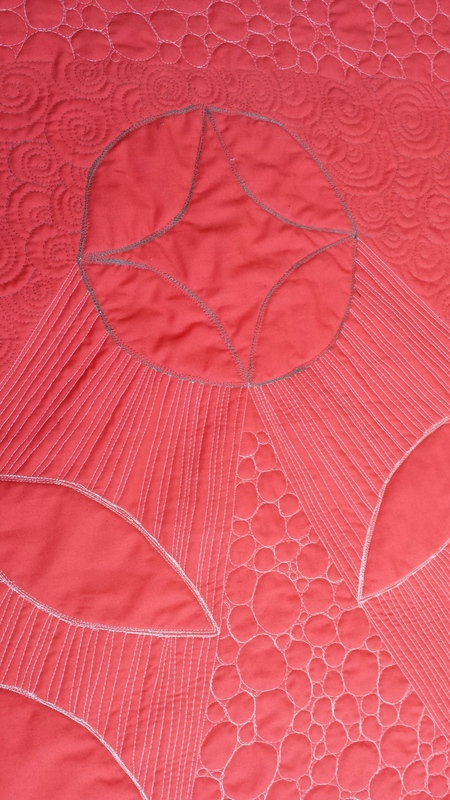 You can really see the quilting on the back!! I used Aurifil threads 2610 and 2600 to create this effect. 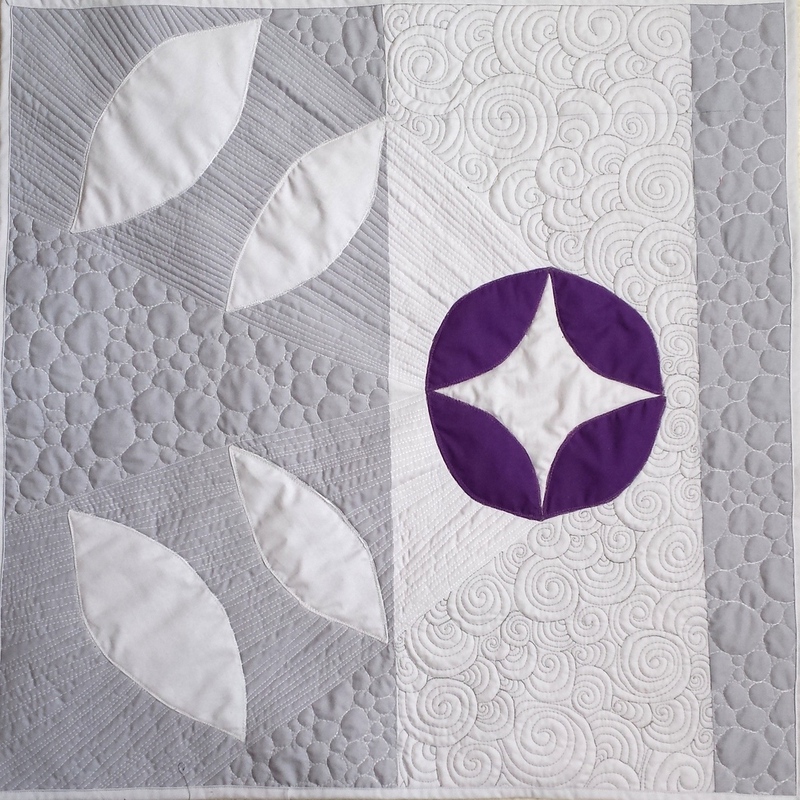 I also used #4225, a great purple shade, for appliqueing and sketch quilting over the purple orange peels. 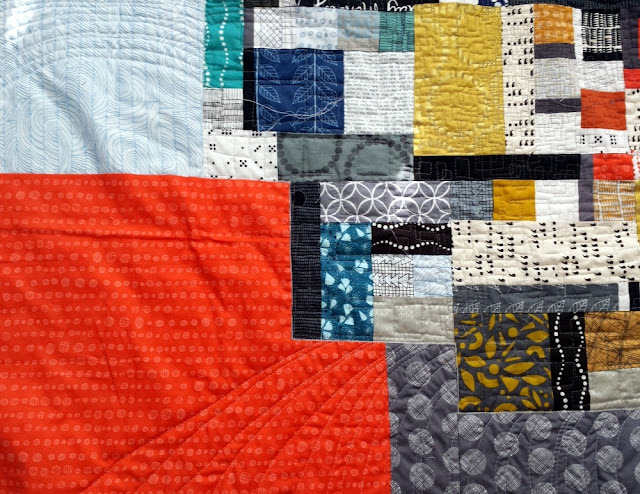 A thought: I've been making more solid-only quilts in the last couple of years. Maybe it's growing on me. Maybe I'm just imbibing the trend from the modern quilt world. 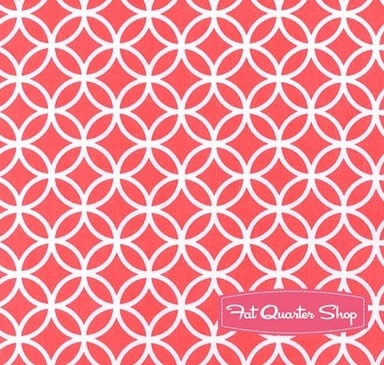 I still LOVE prints, though, and combining prints and solids. 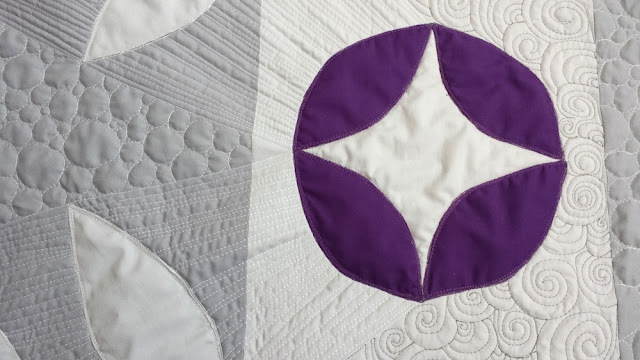 Nevertheless, this quilt has made it into my top favorite makes because of the purple, simplicity, and the quilting opportunities. 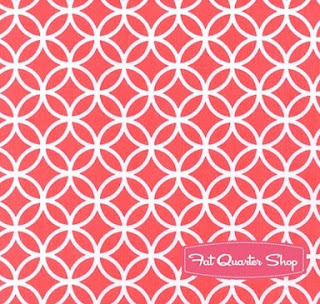 Also, just a second to chat about Northcott Solids (my honest opinion, as always) - I had never worked with them before, and they were SO SOFT and pleasant! 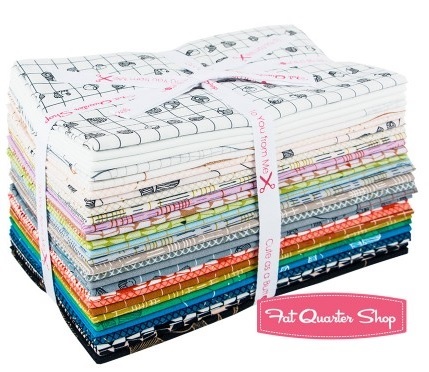 Definitely going to incorporate them into my quilts from now on. Just saying. 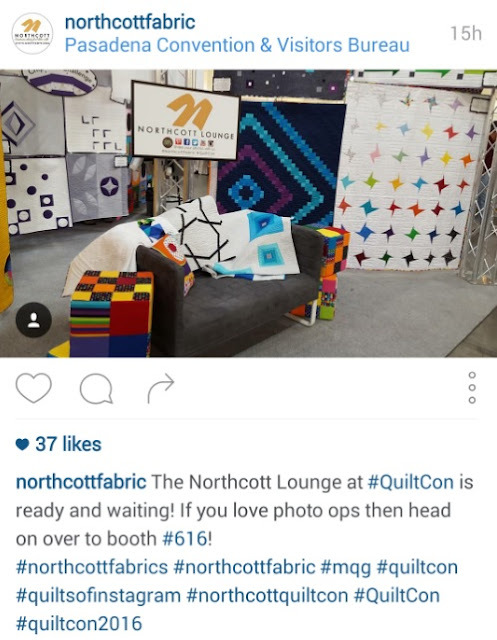 Here's my quilt hanging in the Northcott Fabric booth this weekend in Pasadena, California! Thank you to Renee (@quiltsnfeathers) for the photo. 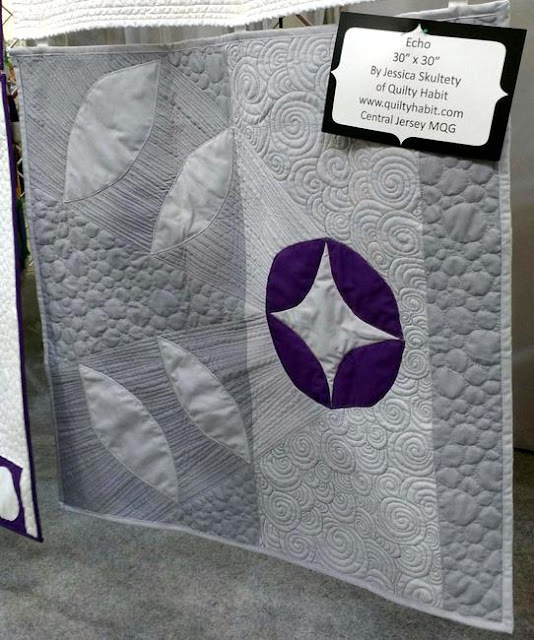 By the way, did you know Renee WON the Machine Quilting - Frameless Award at QuiltCon? She ROCKS!! 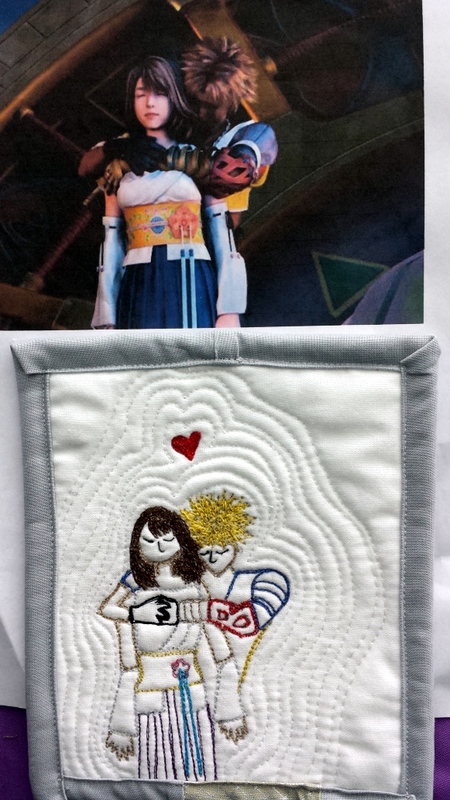 Also, here it is with the other quilts for the Chip Pack Challenge! Use 5 pieces (I only used four) of Pansy purple fabric #86! I'll post the link here when it's up. 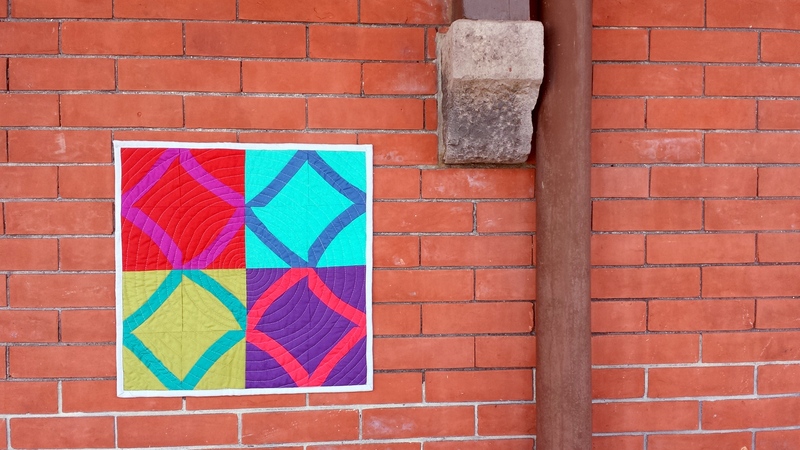 Yay QuiltCon! I didn't go this year, but I was there in spirit. More soon about trends/the winners. 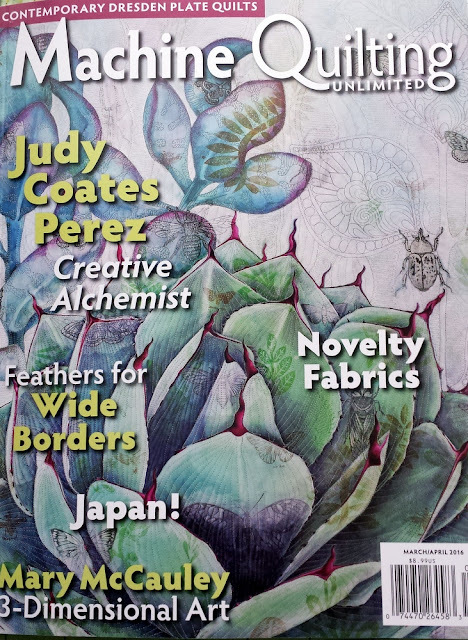 :) I've got a lot to say in the March issues of The Wonky Press. 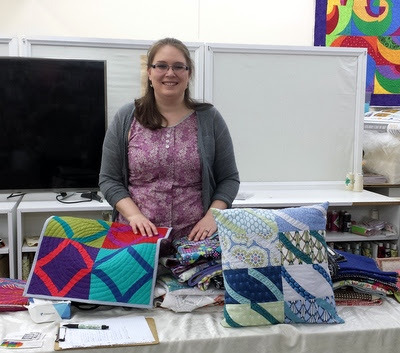 Thank you again to Northcott Fabrics for the opportunity to participate in this challenge! Here's the secret: I work on what I want to. 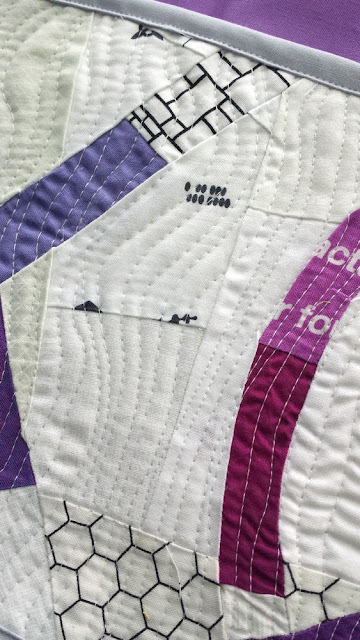 Yes, I have deadlines and self-imposed deadlines, but I allow myself time to quilt every single day (even if it's only for 30 minutes). Therefore, I have the opportunity to decide what I want to work on, and that may change as the week progresses. There's no point in working on something that stumps me, so I just switch as needed. Why waste a bit of negative energy when you can convert it to something hugely positive? I ended 2015 with a slew of WIPs that were exciting but uninspiring at a time. 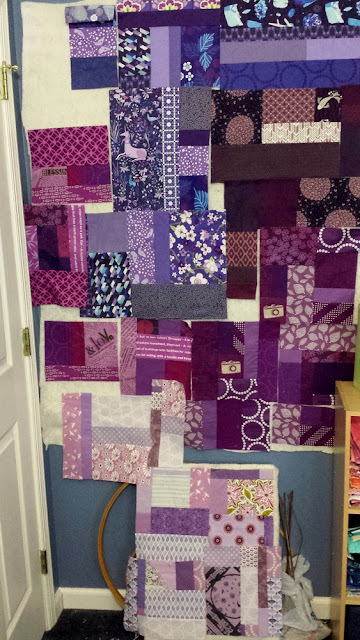 As soon as I picked up my Mod Corsage quilt in mid-January, all the thrills came back in regard to my other WIPs. So now, I'm working on several, AND I've started two more projects, too (one of them is above). 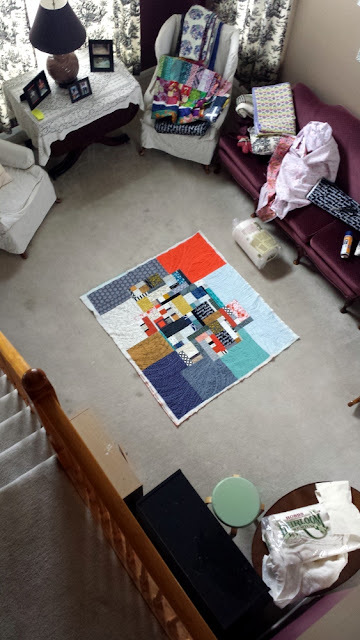 I've got 99 problems but WIPs ain't one. For the #purplesewingchallenge - it will be based on Peace! 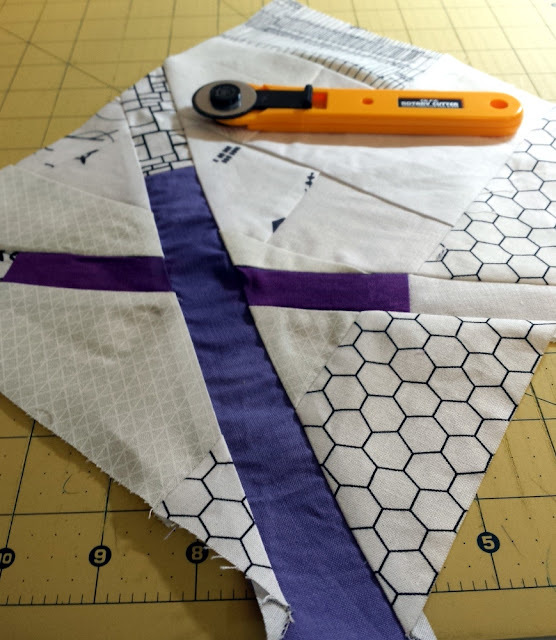 This scrap project is my go-to sewing when I only have a little time on hand. 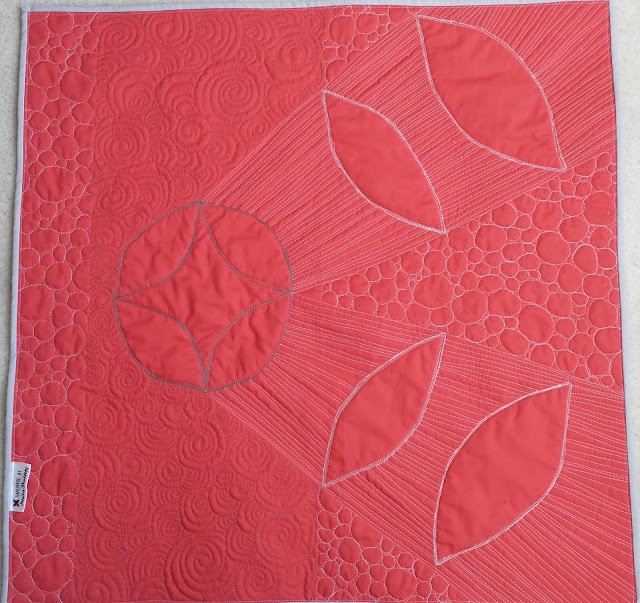 *As of 2 weeks ago, Lee of Freshly Pieced decided to put the WIP Wednesday linky party on hold, possibly for good. I can totally respect her decision because I know firsthand how much work it takes to hold a linky party, let alone for 5 YEARS. To me, Wednesday will always be a WIP Wednesday, though. 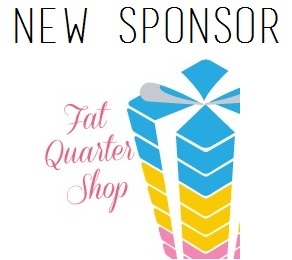 :) Thanks to Lee for providing that outlet for our online sewing community! 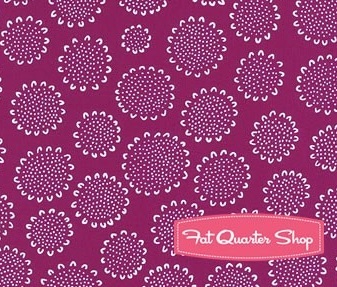 I used bright and lovely Michael Miller Cotton Couture fabrics for the whole front. 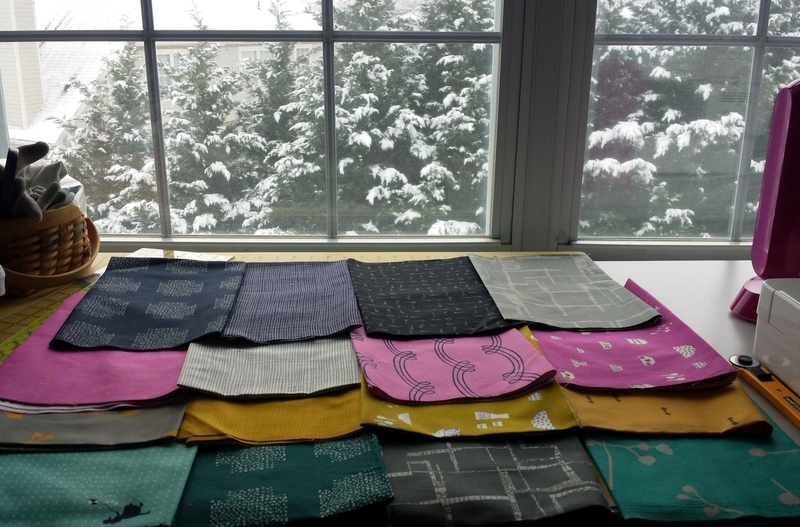 I won them from Michael Miller at QuiltCon last year and have been itching to use a bunch of them for the same project. The stars aligned! 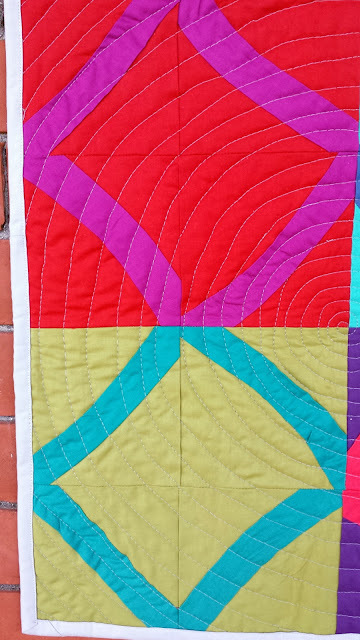 In preparation for my first teaching gig of the year at Byrne Sewing Connection, I whipped up a new sample for my Gentle Improv Curves class: this mini quilt features a totally new look, using the same technique as the pillow below. 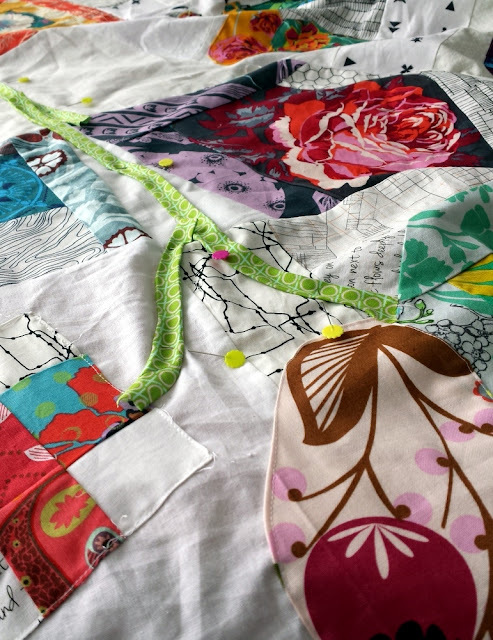 Now, the Gentle Improv Curves pillow is a PROJECT class - you can either make a mini quilt or a pillow (out of either design), and I provide instructions for each! Check out the whole class description here. Each. one. of. the. curves. is. improvised. It really is a fun and freeing process. I purposefully arranged them so that the middle diamond is (almost) perfect). You could make them all wonky if you want! The sky is the limit! 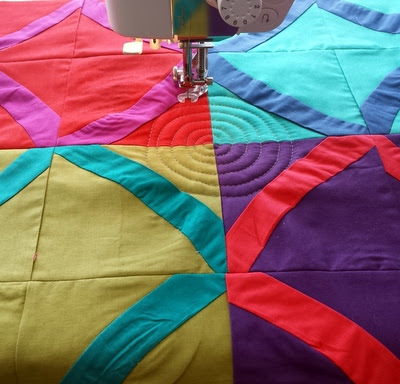 I felt that quilting a spiral from the middle would bring the whole design together. It was fun and it makes a statement! 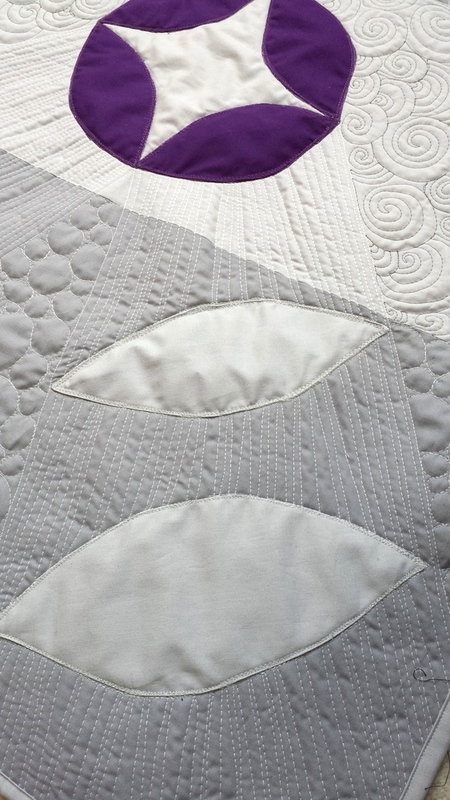 As usual, I quilted with Dove Gray Aurifil (2600) because I'm convinced its the perfect thread shade for anything (again, not an Aurifil sponsor, just in love with the product!). 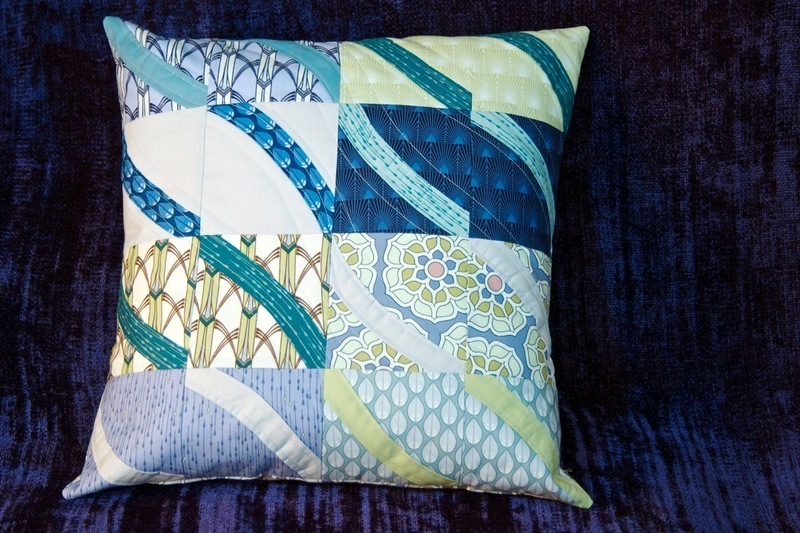 In the class, we discuss different ways you can quilt a pillow or mini quilt. 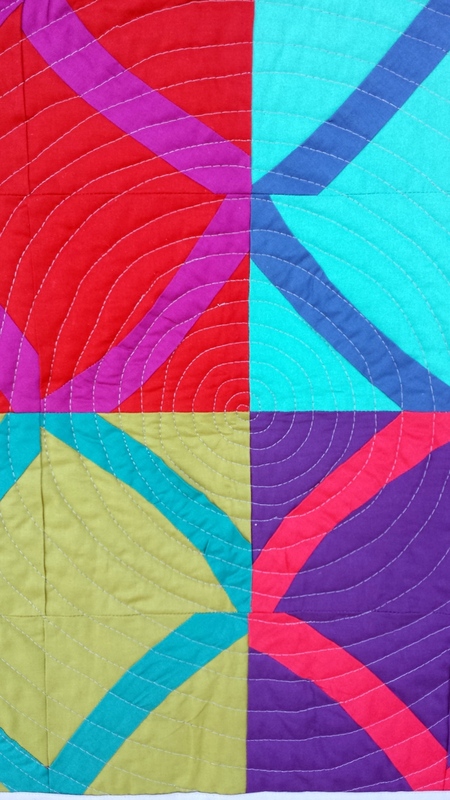 You can also listen to my thoughts on quilting modern quilts here. I can't wait to hang this on my mini quilt wall when it's not being used! 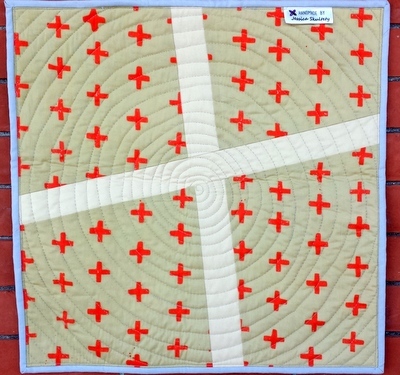 The back is as a sample for another class I'm teaching several times this year: wonky crosses! 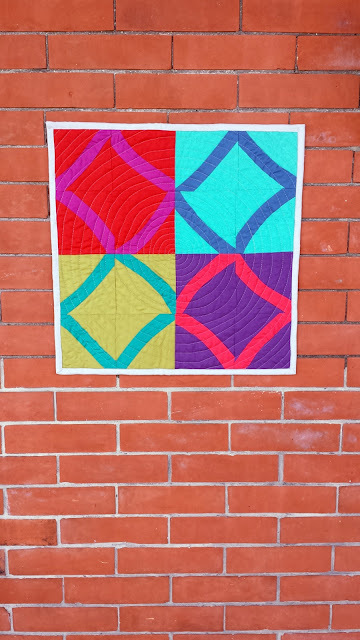 Just one block made a perfect backing (I chose an Alison Glass fat quarter and it was just a tad too small, so I added in some strips, and there you go! Creative backing solution, and it serves a double purpose). I just scheduled BOTH of these classes to run over two 2 hour sessions at Rock Paper Scissors in Montclair, NJ! The classes are for all skill levels and meant to introduce you to improv (though you can certainly take them if you have some experience under your belt). 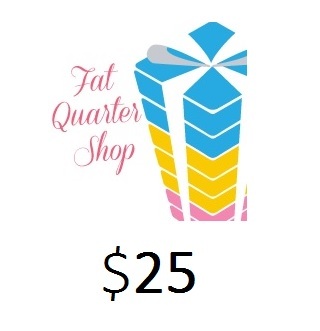 Come and join up - call the shop at 973-337-6759 to register! Just a comment about my experience at Byrne Sewing: I had a blast meeting nearly 100 quilters in their exclusive shop club, Byrne's Bees. 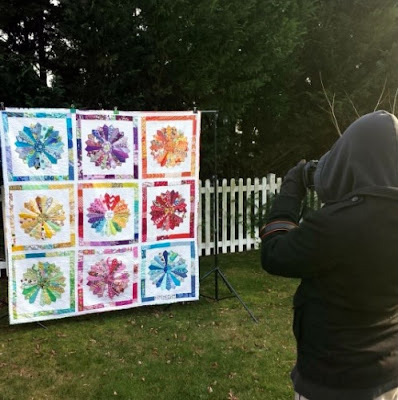 Most of the quilters had never improvised, so it was really exciting to show them all the possibilities and encourage them to try! 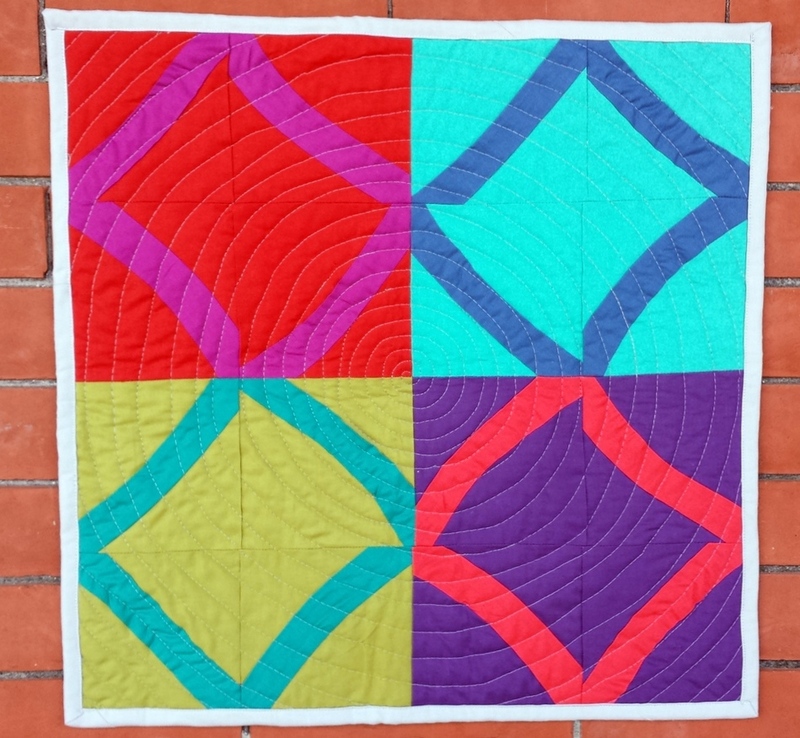 I gathered some great quilting ideas from them, too. Unfortunately, we didn't fill enough spaces to hold the curves workshop, but there was overwhelming interest afterwards. Therefore, I'm working with Byrne to hold a couple of workshops this summer. Yay! Thanks also to Linda B. 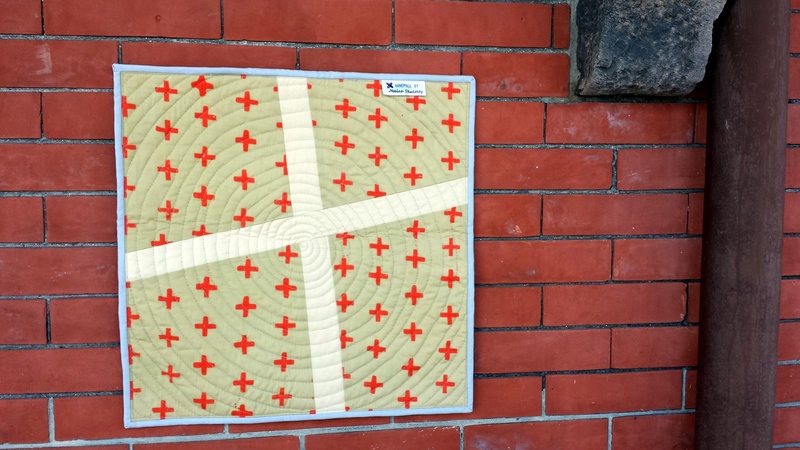 (@ihearthp66) for helping me take some industrial pictures at Hopewell Train Station during our guild sewing day. The colors really pop, no? 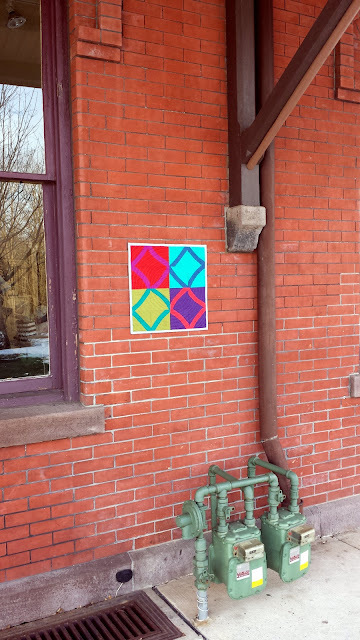 We learned that painter's tape on a brick wall only holds for about 15 seconds at a time. :) Linda also helped with "Winter is Coming." She's fabulously talented, and we fangirl about Outlander, Harry Potter, and Game of Thrones. 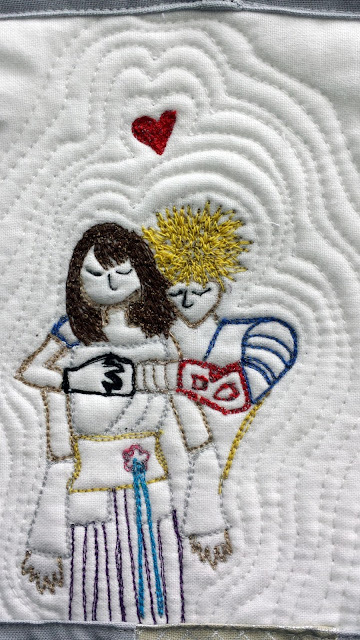 Yup, quilt guilds bring people together!